Thank you, what a year it’s been! At the beginning of the year I was honoured to accompany my long-term client, student, mentor and, dare I say, friend, Sandy Burnham, on the final lap of her journey with cancer. 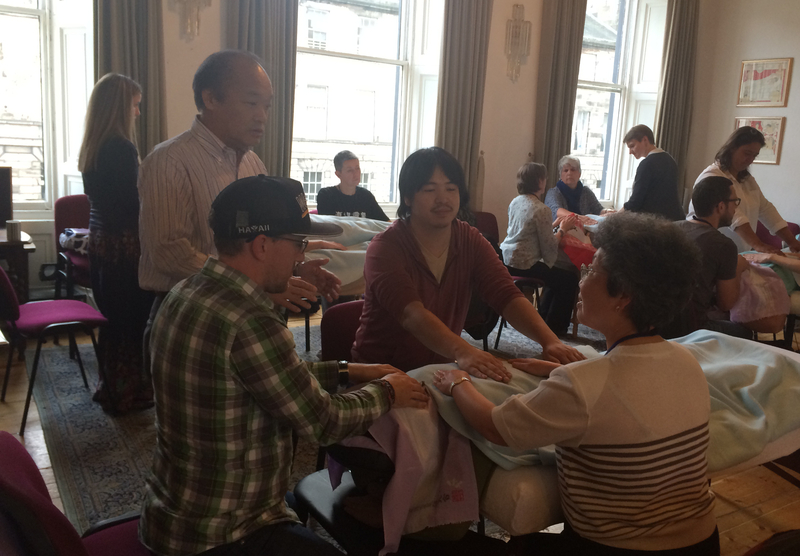 Aileen Jardine and I had been privileged to be able to give her frequent jikiden reiki treatments. Sandy had been very publicly supportive of Jikiden Reiki. And she taught me much about grace. Reiki Documentary: Hand Healing, are you serious? Our 25 minute documentary ‘Hand Healing: Are you serious?’ was premièred at the First Jikiden Reiki World Congress in Barcelona in August and was very well received. I want to give heartfelt thanks to Tadao Yamaguchi for his encouragement, belief in us and support, without which I would not have been able to overcome my (at the time pretty crippling) fears. I am so grateful to the sponsors who have contributed towards the cost of making the film. (So far, about half the required amount to cover expenses has been raised. If you would like to become a sponsor, please get in touch). Most importantly, I am infinitely grateful to the people who have been willing to tell their stories on camera: of initial skepticism, doubt and then very real, tangible healing outcomes with Reiki. Many people have spoken to both Emily and myself after the screening, giving us such positive feedback. To me the most encouraging comment was from a Paediatric Surgeon, who said that if anything would make her want to look more closely at the potential of Jikiden Reiki for healing, it would be the kind of testimonials that we captured in our film. 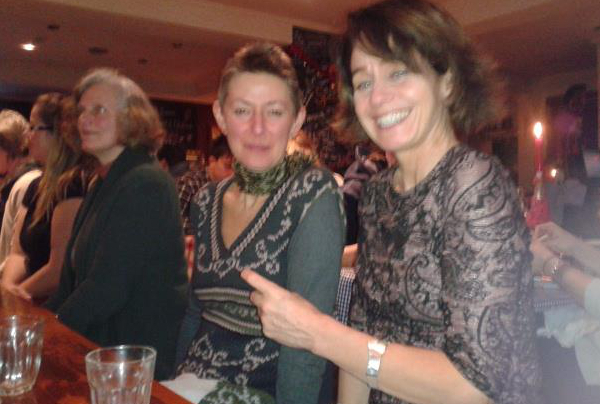 I now look forward to working with Emily again some time in 2015 to plan the online and offline launch of our project. The hope is that it will help change perceptions and open the minds of many more people to the benefits of Reiki. Was it the line up of speakers, amongst whom were internationally respected leaders and authorities in the field of Reiki and energy work? Was it the newly emerged facts about Reiki history that Yamaguchi sensei shared at the Conference? Was it the fact that the first day of the Congress coincided with Usui sensei’s birthday, which we duly celebrated? Was it meeting old friends again some of whom live in countries far away, and having the opportunity of nurturing new and old connections? Meeting colleagues from all over the world (21 countries to be precise)? Was it the remarkable City of Barcelona? To me it was Chiyoko Yamaguchi’s grounded, unpretentious, simple, deep love of Reiki that was at the heart of this Congress, bringing people from so many different parts of the world together to be part of Tadao sensei’s vision to share Reiki in its orginal Japanese form with the world. I am truly grateful to be part of this global tribe. It’s true, the trainings bring together amazing people for an amazing experience (and very solid, authentic, Reik training) every year. 2014 has not only seen my 2nd anniversary working from the Ladysmith Physiotherapy Clinic in Innerleithen, but also my 5th Anniversary this November of working from Tweed Chiropractic Clinic in Galashiels. Even better, my dreams are coming true: For years I’ve fantasized about my own Simply Jikiden Natural Healing Centre. 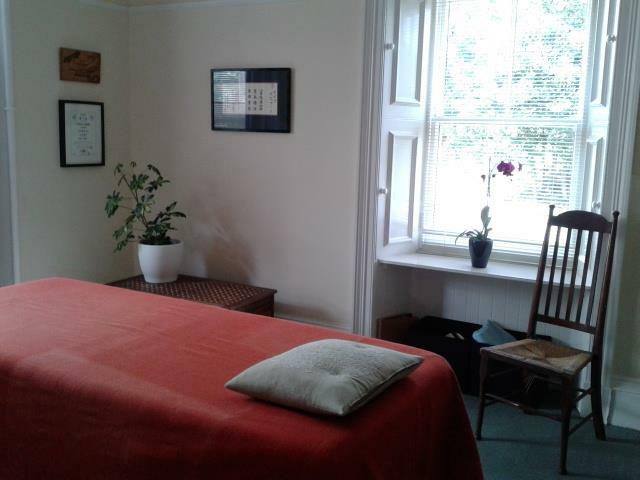 And this summer I have taken on a beautiful large treatment room under the Complete Health Borders umbrella, which is big enough to hold practice events and seminars: The Simply Jikiden Borders Studio! We’ve had our first monthly Reiki share there in October, which felt great. Now I am looking forward to regular monthly Reiju kai events and biannual seminars in Galashiels in 2015. 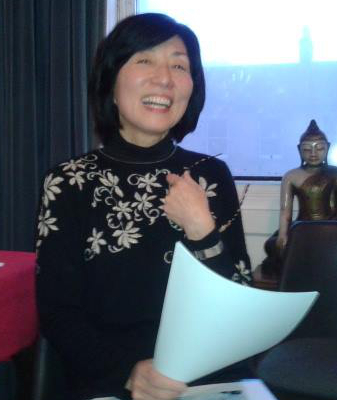 On the first Sunday in December we held our 2nd Scottish Jikiden Reiki Christmas Gathering in Edinburgh. We had a lovely Christmas lunch and Reiju kai afterwards (by popular vote this will now be an annual event!). Many thanks to fellow Shihan Mariko Tanaka Pollock for her presentation on Shinto and her irresistibly charming invitation to visit her home country of Japan for the 2nd World Congress in Kyoto in 2016. Folks start saving now, this is going to be unmissable! Wishing you all a joyous and relaxing holiday period and the very best for a healthy, prosperous and happy 2015. It’s about a woman on a mission to help spread Reiki 🙂 Our documentary film project will hopefully take this mission one step further. Watch this spot in 2015!